Hog Roast Catering for Events, Shows, Weddings and Parties. We travel to you for weddings, parties, corporate catering, & public events. The delicious aroma of a slowly roasting hog with sage & onion stuffing, apple sauce all served into a Starbucks (Market Rasen) bread rolls drifting across the show ground or event will entice your visitors to stay longer and draw new ones in. Our award winning Hog Roasts and other meats are sourced from local British Quality Assured Farmers and supplied to us by A W Curtis & C J Butchers of Lincoln. The Bowser Brothers Hog Roast Catering take part in many county shows; Woodhall Show & Welton Carnival in May, Lincoln Beer Festival in the Drill Hall in May, Lincolnshire Show in June, / Southwell Show in Sept, and the Food and Gift Christmas Show in December. At Southwell Show we also serve home made steak and ale pie with mushy peas, chips and gravy. We are now attending a new function called the Heritage Skills Festival around the Lincoln Cathedral in June. Nottinghamshire hog roast. Book the Bowser Brothers Hog Roast Catering now! Just perfect for that once-in-a-lifetime wedding reception, we specialize in wedding Hog Roast catering and have a variety of services and packages to suit. We provide the catering cooking equipment, chefs, proper crockery & cutlery (unless requested otherwise). Our free range locally sourced roasts of pork, beef and lamb are very popular and provide a great focal point to the day. We also provide a selection of hot & cold canapés, a good section of freshly made salads, hot new potatoes, Starbucks (Market Rasen) bread rolls and a selection of desserts, with the option of teas & coffee. We travel to you, set up our catering and aim to make the biggest day of your life memorable and stress free! Take a look at our menu selections here. Did you know we do Rustic Barn Weddings and the catering at our very own Farm and Barn at Stainton Manor Farm. Have a look here. Party catering can’t get much better than a delicious 6hr slowly cooked Hog Roast from the Bowser Brothers, all served with sage & onion stuffing and apple in a Starbucks (Market Rasen) bread roll. 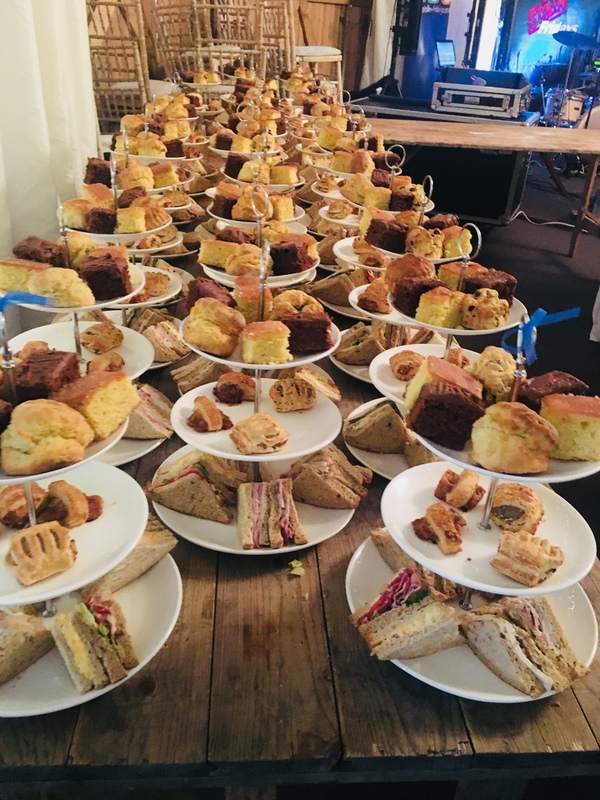 We provide the catering cooking equipment, chefs, strong durable disposable plates and eating ware (unless requested otherwise) to take the stress out of parties in Lincolnshire and Nottinghamshire. Take a look at our menu selections here. All our meats are sourced from local British Quality Assured Farmers and supplied to us by A W Curtis & C J Butchers of Lincoln. Want to host a Hog Roast party your self ? Find out how to here. Cherry Willingham local village hall where six times a year we turn it into a restaurant and serve Sunday lunch. Full hog roast, roast & mashed potatoes, gravy and desserts with a choice of homemade strawberry pavlova, apple crumble, banoffee pie, lemon cheese cake, chocolate profiteroles also coffee and tea. It only costs £14 per head and you can bring your own refreshments. (booking in advance only) . Specific dietary requirements can be arranged. Do it yourself and save money ! Hire it, Cook it, Eat it – No more smokey BBQ’s ! The 4 joint machine is driven by a small electric motor on a 13 amp plug. The machine and the LPG gas bottle will fit in your carboot for ease of transport. (meat not included). We can provide DIY pork joints with sage & onion stuffing, apple sauce, Starbucks (Market Rasen) bread rolls to serve forty to fifty people at a cost of £350 delivered. Hi there, Just wanted to say a BIG thank you for all your help and advice and your fantastic roasting machine. The party was a huge success and the meat was delicious. We ended up having Pork, Beef and Chicken which was all cooked to perfection thanks to your guidance and the simplicity of your machine. Would definitely recommend your services to anyone looking for the ultimate in cooking for that for for a special occasion. Once again thank you. Bowser Brothers recently catered for my wedding of 300 people and were absolutely fantastic. I knew we had made the right decision when we met Mr Bowser at his home to discuss what we wanted for our big day and they didn't fail to deliver.